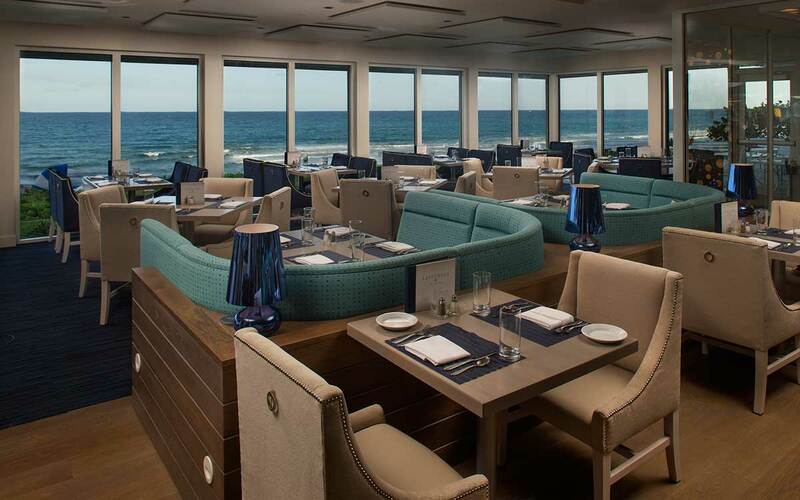 This new oceanfront restaurant and lounge is located at Delray Sands Resort, just outside of Boca Raton. 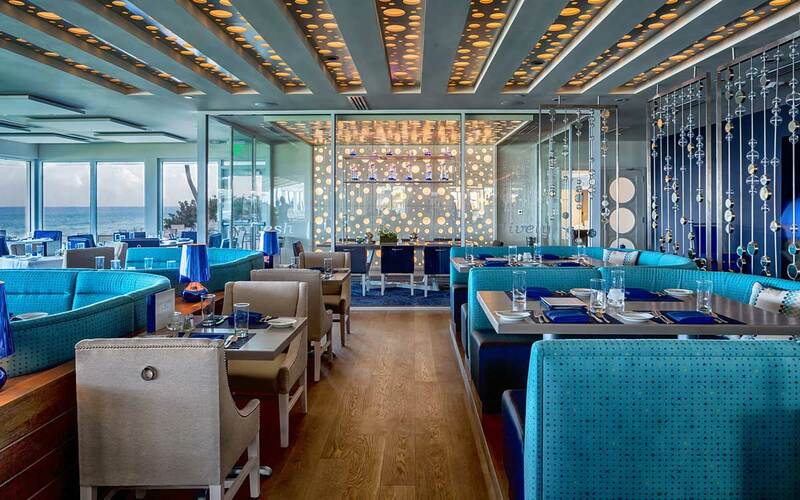 The interior presents an immersive, sensory experience inspired by the sea. 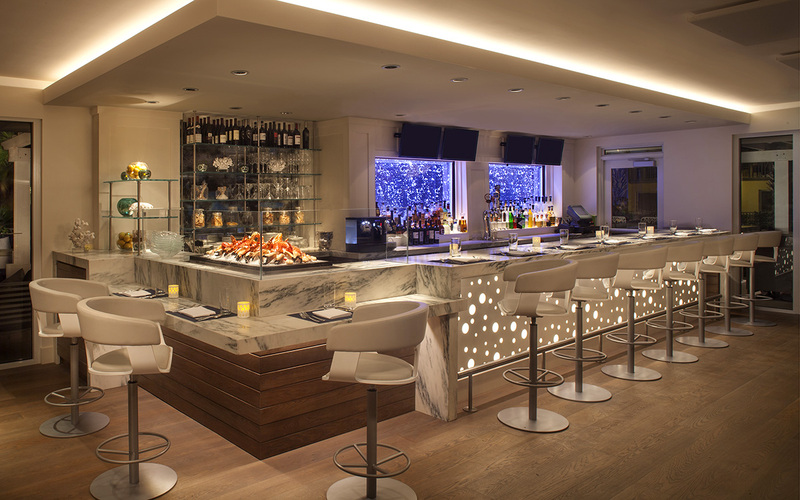 Five social and dining spaces offer a variety of dining options that transition from day to night. 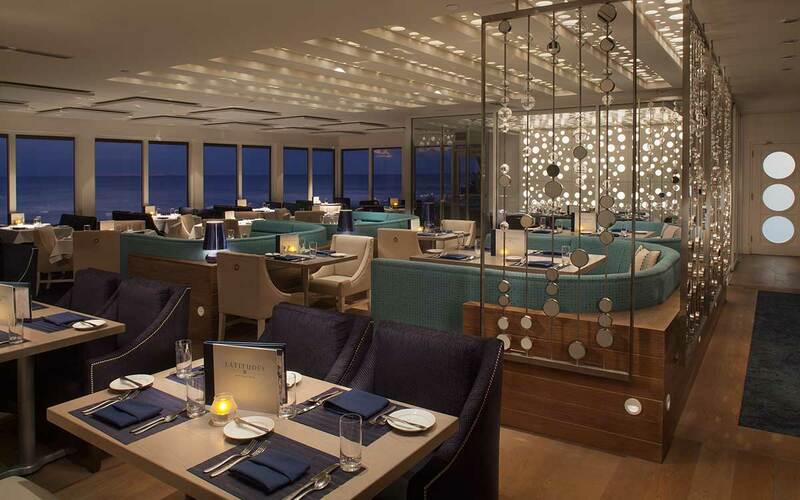 The main dining room features terraced seating that cascades down to the ocean. 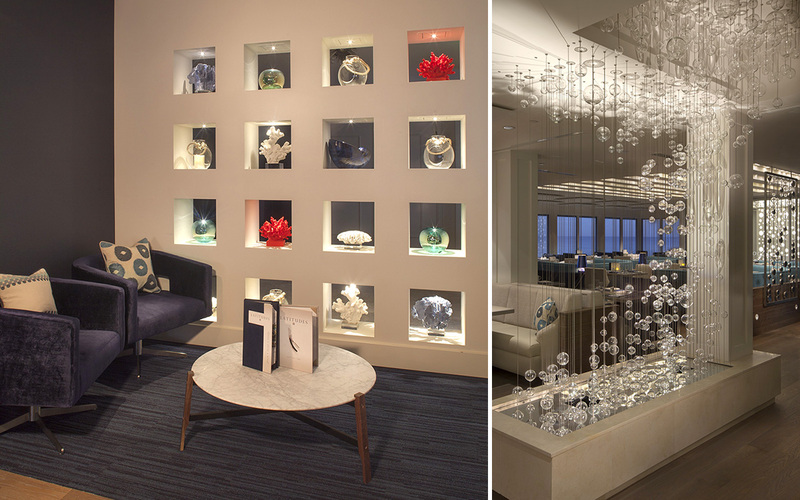 The space captures the spirit of the sea, from the glass bubble chandelier to a wave wall with lighting effects. 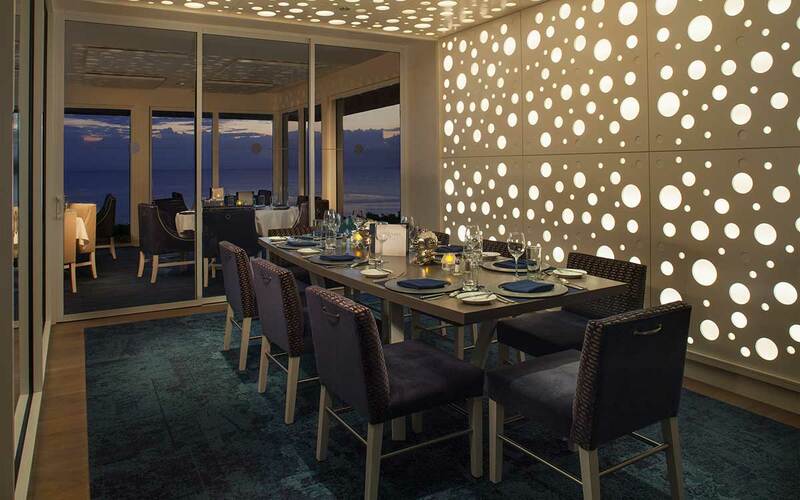 A glass-enclosed private dining room seats 10 around a driftwood oak table surrounded by playful sea-inspired bubble lights. The coastal palette in the space consists of bright sea salt white, deep ocean blues, driftwood oak and coral accents.